SAN FRANCISCO — RangeMe has announced a new partnership with the flourishing Calif.-based retailer Grocery Outlet, a nationwide leader in extreme-value grocery. Grocery Outlet offers big savings on brand name products, with customers able to save 40% to 70% compared to conventional retailers. The fastest growing, extreme-value grocer in the U.S., Grocery Outlet has over 300 locations and carries a full range of products. From fresh produce, meat, deli and dairy to a wide assortment of natural and organic choices. They also offer a large selection of beer and wine, health and beauty care, as well as seasonal items. 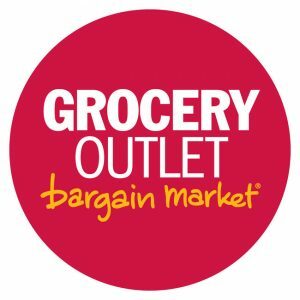 A dynamic retailer surging in popularity, Grocery Outlet is connecting with those shoppers seeking deep discounts on unique, name brand products. And now, as a partner with RangeMe, they’re connecting with suppliers to provide those products consumers are demanding, bringing the grocery experience full circle. By partnering with RangeMe, Grocery Outlet can now search more than 150,000 product suppliers and their 600,000+ products to find those products that will WOW customers and meet their needs—all in one place. What’s more, RangeMe’s efficient and easy-to-use platform makes navigating the new product landscape easier than ever. Each Grocery Outlet store features more than 500 “NOSH” items—products that fall under the natural, organic, specialty, and healthy labels. And as the trend of consumers’ desires for healthier products continues its rise, RangeMe suppliers are in prime position to fulfill those needs. With a 100% satisfaction guarantee on products from Grocery Outlet, and a promise to suppliers to bring them an easy way to connect with buyers from RangeMe, the new partnership is sure to prove advantageous for all parties involved.